This chair and a half is a smaller scale replica of its matching loveseat. 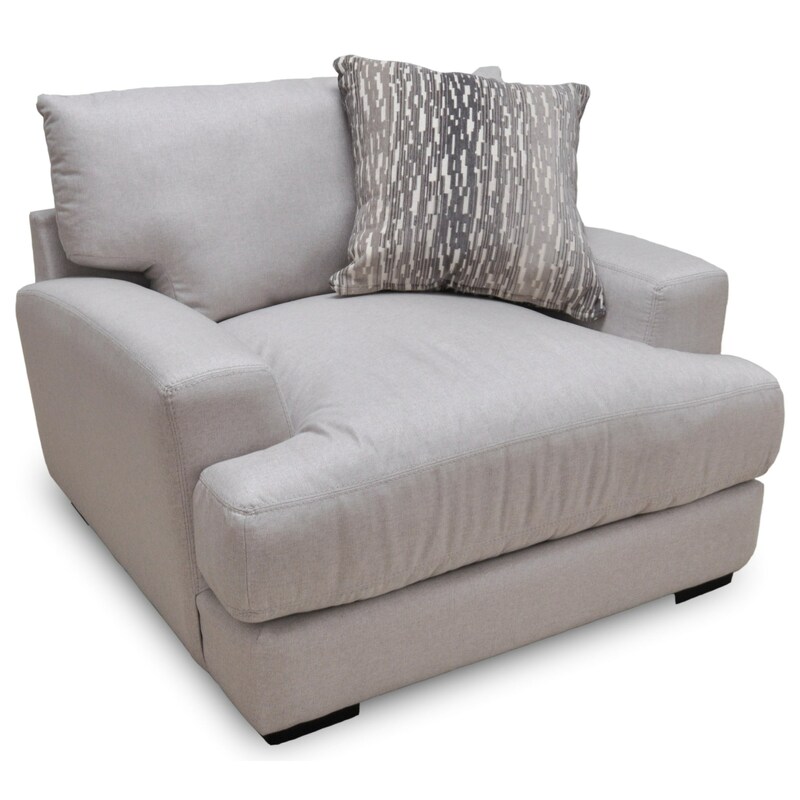 This piece features reversible seat and back cushions with coordinating accent pillows. The design is contemporary and will provide your living space with a fresh, urban look. The Oslo Chair & A Half by Franklin at Miskelly Furniture in the Jackson, Pearl, Madison, Ridgeland, Flowood Mississippi area. Product availability may vary. Contact us for the most current availability on this product. Arm Thick track arms for an updated, contemporary look. Leg or Skirt Exposed wood legs have a casual-contemporary block style. Padding & Ergonomics Custom Grid Seat Cushions enhance the sitting comfort by taking "Sink Into Comfort" to the next level. This unique cushion design provides relaxation while maximizing cushion durability. This contemporary living room collection is truly urban. It features a large scale design, making sure that you are extremely comfortable as you sit down to relax at the end of a day. The seats feature Comfort Grid Seat Cushions that not only increase comfort but are reversible (helping to extend the life of your sofa). This living room group consists of a sofa, loveseat, chair, ottoman and several sectional sofa components that can be configured to create the perfect size sectional for your living space. The Oslo collection is a great option if you are looking for Contemporary furniture in the Jackson, Pearl, Madison, Ridgeland, Flowood Mississippi area. Browse other items in the Oslo collection from Miskelly Furniture in the Jackson, Pearl, Madison, Ridgeland, Flowood Mississippi area.